IPL & ND_Yag Laser - K. Charles Kim, M.D. 01.What is Light Star Laser? 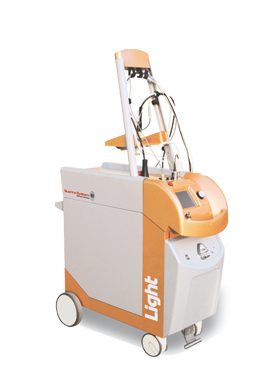 Light Star is the latest multifunctional short and long pulsed laser platform introduced by Quanta System. It is based on the combination of different laser sources as Alexandrite(755nm) and Nd:Yag(1320nm, 1064nm and 532nm). Light 4V is the most powerful “Clinic in a system”device available on the market. No other laser can be compared, in terms of flexibility of use. 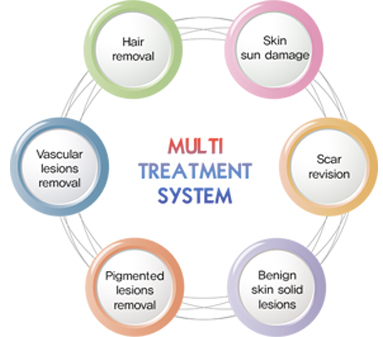 Light Star is totally configurable: one to five wavelengths,for hair removal, skin rejuvenation and tightening, leg veins, vascular and pigmented lesions removal, acne and scars management. 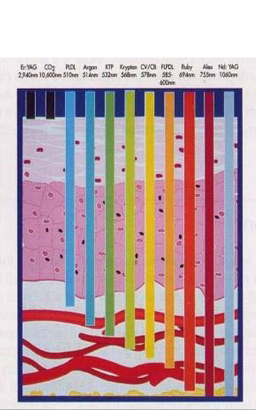 For Leg veins treatments the 1064 nm wavelength of is preferable.